Some were turned away, some were facing the cross, some were buried far beneath the ground. But, I was not one of them. No, I had Hope. I had salvation. I walked around the mangled, torn bodies, and I avoided them. I stepped over the crying woman, the lost man, and the despairing child. It was actually very easy to block out their cries. I refused to look at their tired bodies. I decided not to hear the cries of shame and heartache. The searching voices, the hurting hearts, the lifeless eyes—I avoided it all. I had the Hope and I didn’t even feel the need to share it. I came across a broken woman. She could not walk. She could barely see. I bent a little closer and could see the sweat that came with living. I knew she needed the Hope….my Hope. I tightly closed my eyes against the conviction that I should be the one to tell her. I lifted my leg up and over her. I walked away. My steps were heavy. She had no hope. I knew this in my heart, in my soul. I did not relent. I kept walking. I fell to my knees, the anguish of her life weighing on my own. I grabbed my face with my hands to block out the image. I rose to my feet and staggered away. I was too afraid to talk to her about my Hope. I knew that in many ways I left her to die. I picked up my pace. I ran from myself, from her, from all the bodies lying at the cross. I chanced a look around. I could see other Christians running too. Their faces had one purpose, one goal. And, it was not to share the Hope…it was to run as far as they could from the bodies lying at the cross. Some tripped over the bodies, and others leaped completely over them. I kept on running, my eyes trained on the ground. I was ashamed of my actions, but it did not initiate change in my heart. Then, I saw her. A woman about my age who was crying. Actually they were not cries, they were screams. Heart wrenching screams full of anguish. I covered my ears, but her screams…they penetrated. I looked behind her and saw her trials. The trials that followed her were much like the ones that I had walked through. I kept looking at her trials, her heartache. It occurred to me that my Savior had me cross paths with this woman because He knew that I could relate to her. He knew that I would understand her. I stopped looking at her trials and stared at her face. Her face so wrinkled in sadness, so scarred in shame. I took a couple staggering steps backward. I slowly walked away, but her face…her face is forever engraved in my mind, my heart. I was still too scared to show her my Hope, still too nervous to talk about my Savior. I kept on running. Only this time, my tears came. They blurred my vision and I saw the woman’s face and I heard the child’s cry. I could not see anything by now, the tears so distorted my vision. My legs forgot how to move and I collapsed on the ground. I once again grabbed my face and tried my absolute hardest to block out the images of the Lost. But, I could not. I buried my hands in the dirt.I rubbed my face with it. I tried to cover my shame, but I could not. It still came to haunt me. This is what I had chosen, to keep my Hope within, to let others wander lost….maybe forever. And truly, keeping my Salvation to myself was robbing them of the joy that my Savior longs for them to have. My body was shaking, my fingers cold and icy. So many are lying at the cross, so many without the Hope. I brought myself to my knees and slowly stood to my feet. My face is streaked with tears, my legs are worn from running, and my hands are stained with the gritty dirt. I tried to walk back to the woman. I tried to find my way to her. But, the path was different and I could not reach her. Even, if the path had been the same, I would still be unable to find her. I lost my opportunity to share my Hope with her. I could not go back. I could never go back. I had given up the opportunity to see God save her soul. Every step that I took was blocked. I could not reach any of the bodies that I had ran past. I would never be able to share with them the Hope that I had. Once again, the tears came as I realized the impact of my actions. I ran past the lost, I leaped over the broken, and I avoided the cries. Their hearts, their souls….I could only pray for them now. I fell to my knees and brought every one to the Lord. I had no names. But, I prayed that someone who had my same Hope would take the time to share it with them. I begged the Lord to forgive me. My actions so absent of love for my Savior, my heart so engulfed in fear. I knew that my Savior forgave me. I rose to my feet, and began to walk forward. 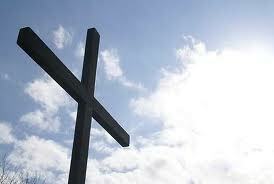 This time, I refused to withold my Hope from those lying at the cross.